RALF is the acronym for Regional Agriculture Landcare Facilitator, a role which has been funded in many regional NRM groups by the Australian Department of Agriculture and Water Resources. The RALF aims to improve soil, biodiversity and vegetation, and help agriculture adapt to changes in climate and market demand. This will be achieved by engaging with farmers, community groups and industry stakeholders to share critical information and develop new projects, partnerships and funding opportunities. 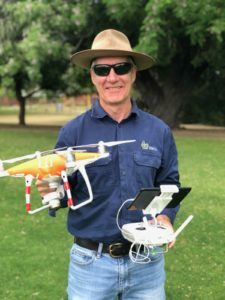 SWCC RALF Peter Clifton will communicate through the monthly SWAG e-newsletter, SWCC Facebook account @swccnrm and Open Farm Twitter account @Farm_Open. Much of this topical information will come from engaging with stakeholders to develop extension material and finding existing resources that will help to improve natural resource management, farm productivity and profits. Peter will also seek to understand issues, needs and opportunities; create partnerships; develop new/existing projects; and complete funding applications. A key component of this engagement will be the facilitation of small grower groups that share ideas and develop innovative projects.